Real stories from real people. Each one has implemented these wealth strategies into their financial plan. The Rogers opened up a wealth account with the purpose of generating tax-free income and accumulating their cash value. With the help of their advisor, they decided to max fund the account on the main breadwinner of the family to create additional income for their retirement. Even though there was a substantial death benefit, the thought of receiving it was a distant thought. Sadly, the husband passed away suddenly at the young age of 52. Despite the unexpected tragedy for the family, Mrs. Rogers was able to use that death benefit to maintain her lifestyle and continue to stay in the house she and her husband had made a home of. Furthermore, the Rogers' believed in the benefit of their wealth account so much, last year, Mrs. Rogers bought an another plan in the same design as her husbands. A maximum funded wealth account to generate tax-free income for her retirement. 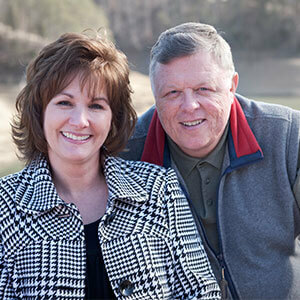 Because of the planning the Rogers' did, Mrs. Rogers knows that she and her loved ones are taken care of. The Ramos' purchased their wealth account in 2011 as a vehicle to accumulate the money necessary to cover their children’s future expenses for college. Their account is structured to meet the concern of most parents, which is to be able to pay for the best college education possible for their child without risking their financial future by accruing debt through student and parent loans. The Ramos are on track to be able to borrow against their policy to pay for their child’s education as illustrated by their wealth advisor. Already, the average rate of return that their account has performed at 7.56% and with the accruing interest, they will be able to withdraw around $30,000 for 4 years for their child’s education. The Ramos are happy with the way their account is performing and with the knowledge that, when the time comes to withdraw their college fund, they can do so without affecting their supplemental retirement. Ben Matthewson purchased his first wealth account in 2011. Since that time, he has tapped into the account on three separate occasions, one of which was an emergency. During a housing market with low inventory and raising sales prices, he got an offer approved on a new home purchase and simultaneously listed his condo for sale. Escrow was about to close on the new purchase, but the condo was still on the market. Knowing he needed to come up with cash quick, he called the financial institution to request an account loan. A few short days later, the loan amount was wired into his bank account and, shortly thereafter, wired to the escrow company. Without this account loan, he wouldn’t have had the ability to cover the down payment and would have potentially lost out on his house and escrow deposit. A short time later, his condo sold and he used a portion of the sale proceeds to pay back the loan. Since the policy loan was participating, the loan amount continued to earn indexed returns. Consequently, his policy capped out that year at 13%. Moreover, because he paid off the loan only a few short months after he took it out, his interest cost was minimal. The loan feature on his policy has daily accruing interest with the interest expense payable at the end of the policy year rather than all upfront. Now, Ben and his wife are happily living in the house they call home thanks to their policy. 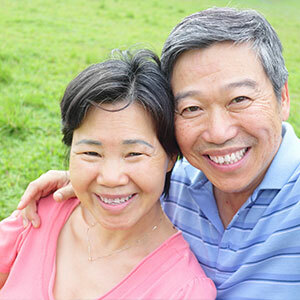 The Chen's came to their wealth advisor years ago with the objective of preserving their current lifestyle once they retire. The wealth advisor decided that the best strategy for them to do so would be to combine a multi-year annuity along with a preferred wealth account. The Chen's are currently following the strategy their wealth advisor set out for them by overfunding and redirecting their assets to their wealth account. They estimate that they will need about $80,000 for a private school college education for their child. Their account has performed as illustrated and the Chen's can rest assured that they will be able to pay for their child’s private college education debt free and retire at 65 with $165,000 of income.